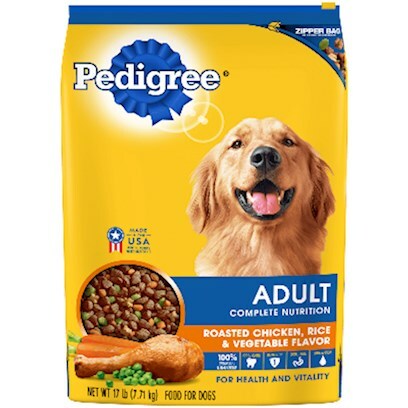 Good dog food, good quality ingredients. All my dogs love this brand! My Dogs Never Snuff Pedigree! Great advertising colors & dog on pkg is adorable! Good for all adult dogs! Great value for the money. Four dogs love it. My dogs like this food. My Springers and Pugs do very well on this food!! My chocolate lab loves your dog food. Love the extra large bags.